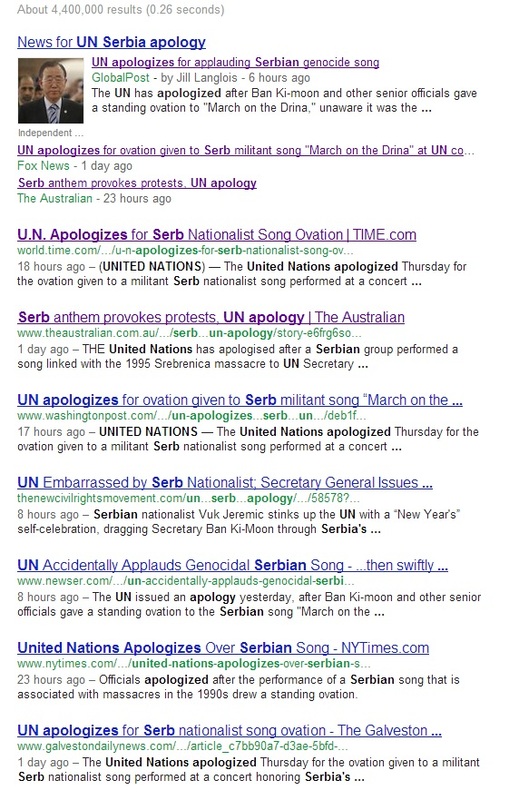 I hate to give ideas to NYT, but if they ever come across this recording, they could write that the (now) infamous conductor Herbert von Karajan, a former member of the NSPD, proved beyond doubt that he always remained committed to Nazi ideals when he chose to conduct a Serbian genocidal anthem shortly before his death. I suppose the same could be said about the unrepentant Viennese public which reacted rather enthusiastically to music inspired by ethnic cleansing of their ancestors. Suvorov, the said video is a joke. As in, someone dubbed the "Drina March" over the orchestra's traditional "Radetzky March" performance. I don't know who is behind it - perhaps a Serb with a quirky sense of humor - but it is, sadly, not true. Much as they bow and scrape to multiculturalism and the politics of guilt these days, the Austrians still retain some dignity (good for them). funny to see how the well known media, exclusively from the "west", are all in on it. as if they were orchestrated. Well, the search results speak for themselves. Considering the practically incestuous relationship between all the media, NGOs and governments in the West (or in occupied Serbia, for that matter), it is extremely unlikely they weren't in on it. My fault, it seemed too surprising to be true, yet I believed the incredible in the end. I should have watched the video properly instead of simply listening to the tune. Well, I guess I won yesterday's MSM Gullibility Award. 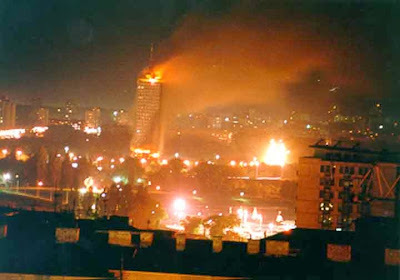 Hey nebojsha, did you read the albanians saying that they want the same rights in Serbia as serbs have in kosovo after the terrorist KLA monument was removed?? Didn't that make you laugh? Are they saying they want to be sorounded by barbed wire and be shot at all the time by terrorists and the NATO occupation forces? It would be great if we could take over managing the perception.Every computer in Serbia directing the google algorithm to headline "NYT dances to Mars na Drinu"
At least it would have brought tears to the whiny "Bosniaks" and the Western media.